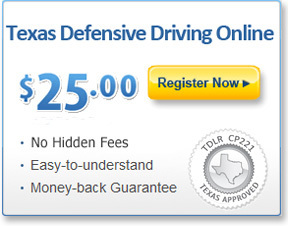 The drunk driving statistics in Texas are staggering. In 2011 there were 2,571 DUI crashes resulting in 3,015 fatalities - over 3,000 deaths that could have been prevented simply by not getting behind the wheel. There are extremely harsh penalties for drivers who make such a reckless and irresponsible decision, so to save your own life and that of someone else, make sure you know your limits, and the laws that Texas puts in place to prevent these tragedies. It is absolutely illegal to operate a vehicle under the influence of any substance. A driver with a Blood Alcohol Content (BAC) of .08% or higher is considered legally intoxicated and will be arrested for Driving Under the Influence (DUI). Under the Texas Penal Code, intoxication is "not havingnormal use of mental or physical faculties by reason of the introduction of alcohol, a controlled substance, a drug, a dangerous drug, a combination of 2 or more of those substances, or any other substance into the body; OR having alcohol concentration of .08 or more." Minors who drive with a BAC of .01 or higher are considered legally intoxicated, as it is illegal for anyone under the age of 21 to consume alcohol whatsoever. Texans may not drive with an open container of alcohol, even if it has not been consumed. You also may not drive intoxicated with a passenger who is under the age of 15; this is considered a state felony and will be charged as such, with guaranteed jail time. Why Are the Laws So Strict? Alcohol, drugs, and other substances have an immediate effect upon a person's physical and mental faculties, both of which are required to operate a vehicle. A single drink can blur your vision, decrease your reaction time, slur your speech, and render you unable to think in a clear and linear fashion. Any depletion of your ability to react, your vision of the roads, or your judgment can and will result in poor driving. You're not only placing yourself in danger, but you're also endangering the lives of innocent drivers around you. Because of these drunk driving statistics in Texas, the minimum penalty for a Texas DUI or DWI (Driving While Intoxicated) is a jail confinement for 72 hours, and fines that can reach up to $500. If you are caught driving while intoxicated with an open container, you will spend a minimum of 6 days in jail. Minors who break this law will pay a $500 fine, take an alcohol awareness course, perform community service, and have your driver's license suspended. If an adult is caught driving intoxicated with a minor, it is a felony which carries guaranteed jail time, a possible long-term prison sentence of 180 days - 2 years, the revocation of your driver's license, and a fine of up to $10,000. Every time you choose not to get behind the wheel after drinking, you've saved at least one life (your own), and countless others of drivers you would have encountered on the roads. There are always alternatives to drinking and driving - a hotel room, a friend's house, and a designated driver are all great options that will ensure everyone's safety.